On 26 of April we have a lovely day at “Our Lady of Good Help Catholic Primary School”. 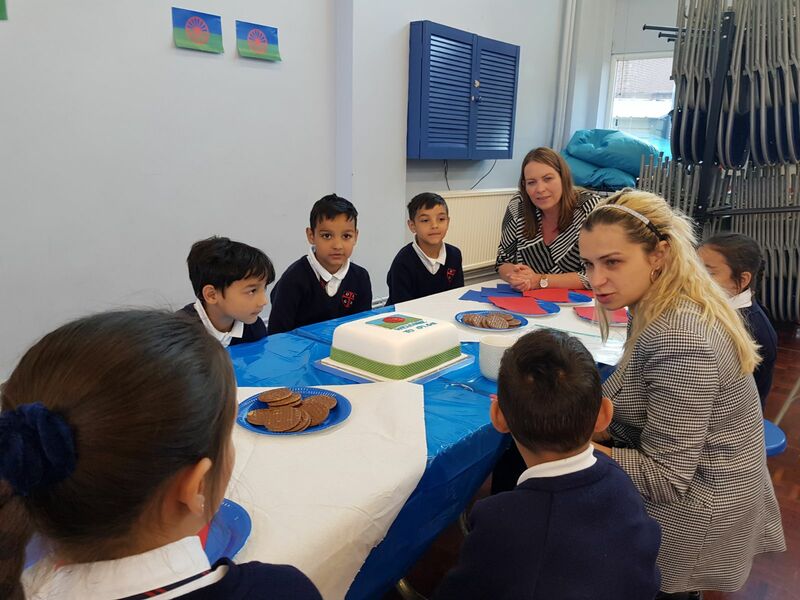 They contact us because the school has new Roma families and they want the Roma children to feel welcome in the new school. 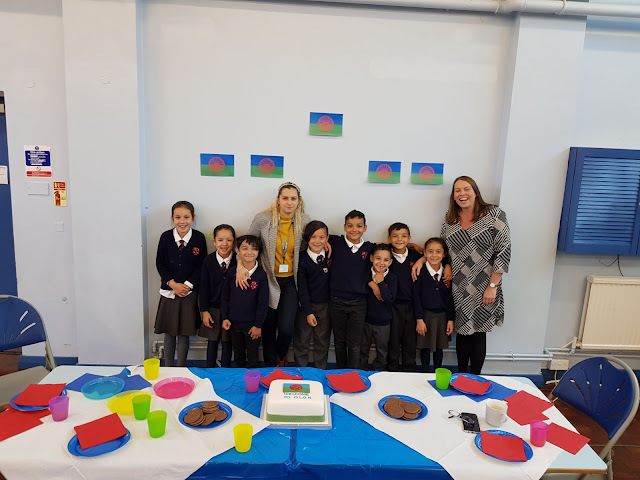 The Head Teacher together with EMTAS ( Ethnic Minority and Traveller Achievement Service ) invite us to participate to the welcome event support of the Roma children. We were pleased when they put in practice our advices about Roma culture like the visibility of the Roma flag in the event. In the next month we will organise in the school a Roma week were we will celebrate the Roma culture and we will share with the non-Roma children the Roma music and tradition.